The After Party Trailer: How Do You Get a Record Deal Before Sunrise? 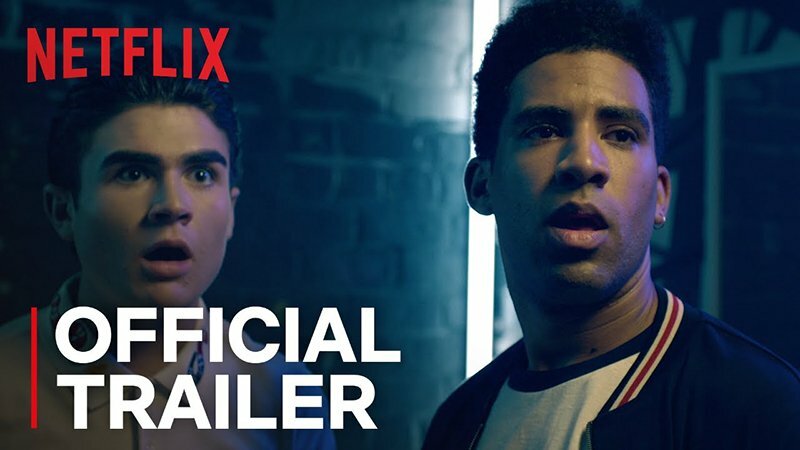 Netflix has released the official trailer for their upcoming comedy movie The After Party, written and directed by Ian Edelman (How to Make It in America). Check out the trailer now in the player below, as well as the movie’s new key art in the gallery! The After Party stars Kyle Harvey (better known by his stage name Kyle), Harrison Holzer (Better Living Through Chemistry), Shelley Hennig (Teen Wolf), Teyana Taylor (Hit the Floor), Jordan Rock (Love), Amin Joseph (Snowfall), Andy Buckley (The Office), and Blair Underwood (Quantico). The film also features cameos from Wiz Khalifa, French Montana, DJ Khaled, Ski Mask the Slump God, Desiigner, Pusha T, Jadakiss, Tee Grizzley, Young M.A., and more. Q, Jamie Patricof, Katie McNeill, Douglas Banker, Trevor Engelson, Jake Stein, and Heather Parry serve as executive producers. The After Party will launch on Netflix on August 24, 2018. The post The After Party Trailer: How Do You Get a Record Deal Before Sunrise? appeared first on ComingSoon.net.